You need to follow the installation instructions to get ready. 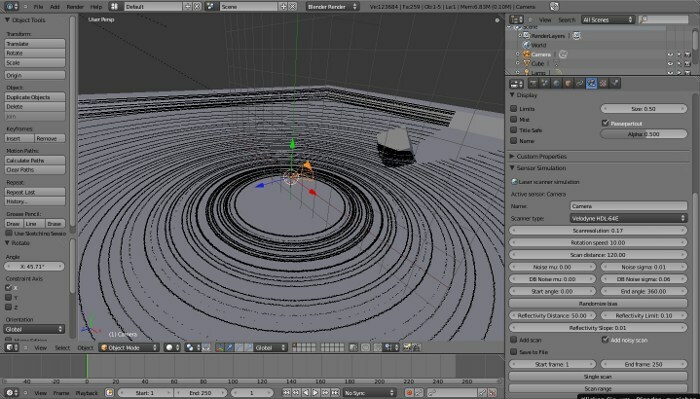 If you start blensor you will see the following view. 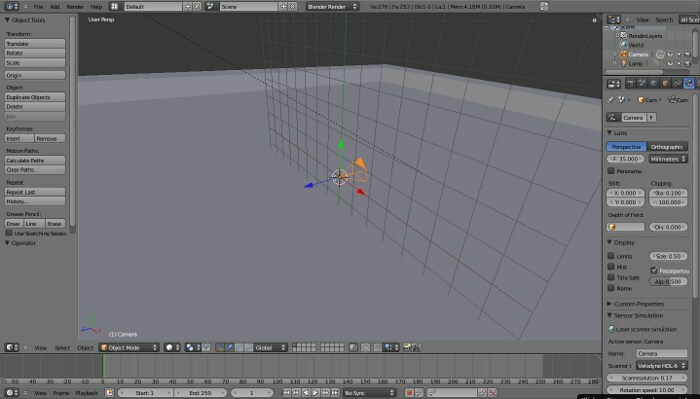 You can add primitives by pressing Shift+a and selecting the desired object. 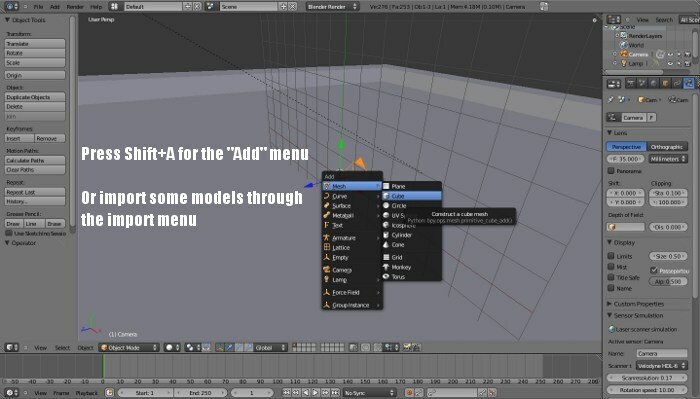 Or you can add objects through the import menu. Or you can add objects from other .blend files through the Link/Append menu. 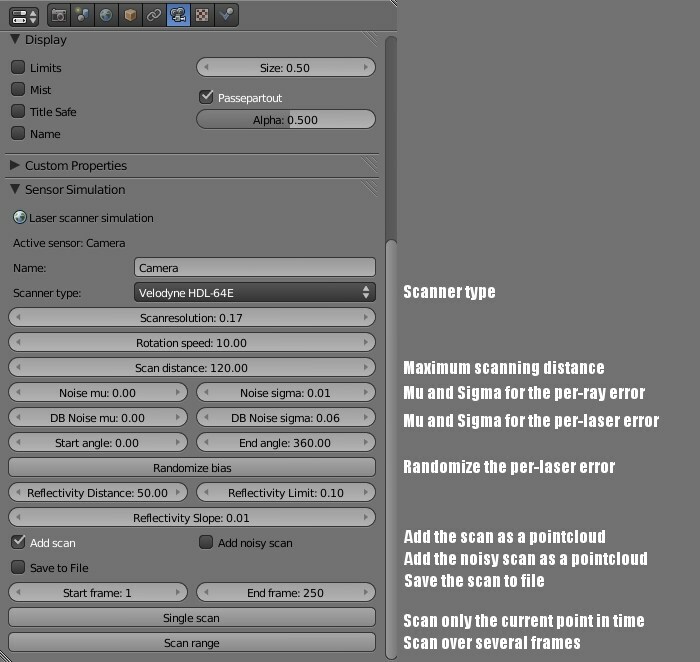 If you selected the Add scan or Add noisy scan checkbox in the camera panel the scan result will be added in the current scene. 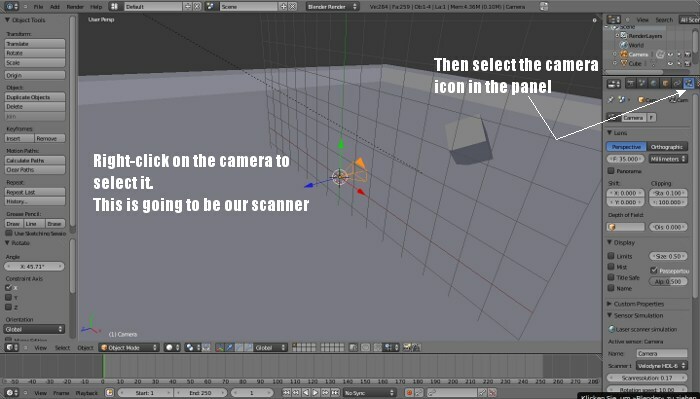 You can then view or edit this scan with the normal Blender tools.